How do you define information governance ("IG")? Is it a holistic policy document outlining an organization’s approach to managing enterprise data? Is it a series of discrete projects that implement best practices in data security or storage optimization? Is it both of these, incorporating policy and tactical execution? Many organizations struggle with the definition of information governance for a variety of reasons. Some lack executive support for IG, while others feel hampered from executing on small, tactical projects due to their legal or regulatory profile. Yet some organizations have implemented IG projects and realized tangible benefits and real return on investment. For this Advice from Counsel study, we set out to better understand the health and success of information governance programs within corporations. In late 2015, we interviewed 25 in-house lawyers under conditions of anonymity. Most of these lawyers are from Fortune 1000 corporations and have responsibilities that include some aspects of e-discovery and information governance. As always, we’ve anonymized the quotes and feedback and are grateful for the input from the Advice from Counsel community. We asked a wide range of questions to better understand how corporations are approaching information governance, key challenges, areas of success, and some of the basic mechanics they’ve adopted to develop and implement their program. The results clearly show that with a few exceptions, most organizations are in the early stages of information governance adoption. Yet these executives have strong advice on how best to begin and implement an IG initiative. 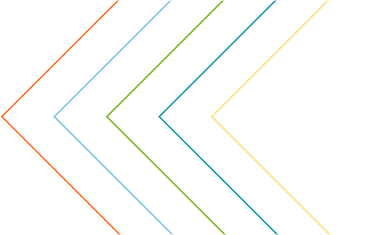 From these results, organizations can better understand how their peers are successfully keeping an eye on the big picture while executing quick wins that help build momentum for broader IG initiatives. When asked whether their organization had an information governance program, 76 percent of corporate respondents said yes. While there was a great deal of overlap in answers, respondents listed more than 30 areas of focus for their program. 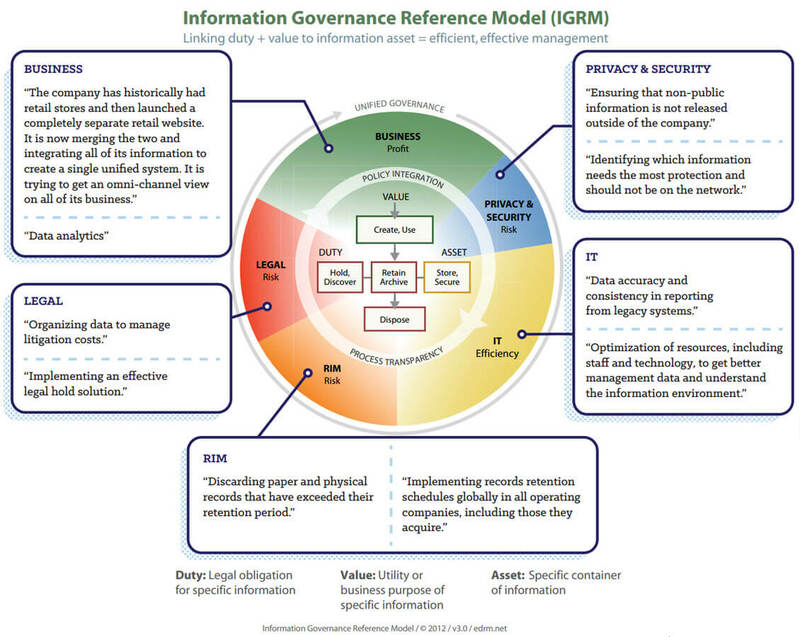 These areas span teams and needs, well-summarized by the Information Governance Reference Model (“IGRM”) graphic below. To give you a sense of the diverse answers, we’ve pulled out quotes and organized them by practice area and mission. While respondents shared areas of concern across the IGRM spectrum, data security was the #1 recurring theme across responses. This encompassed a number of different initiatives, and respondents talked about data security in four key areas... download the full white paper below to continue reading.